It really doesn’t matter which camera, lens, or even brand, for that matter, one uses to take pictures. Virtually all digital cameras since about 2009 have exceeded what is required to make beautiful images for nearly any type of photography. An experienced photographer can make even a “consumer-level” camera sing and dance. Therefore, when you ask the questions, “Is my Nikon good enough? Is my kit lens good enough?” I posit that it indeed is good enough. There are good reasons to have higher-end cameras, and generally, image quality is not one of them. If you are careful, you can make a masterpiece with nearly any DSLR-type digital camera, and even most point-and-shoot cameras. This is a “postprocessed” image, originally shot in RAW and converted to JPEG in Nikon Capture NX 2. What did I do in post processing? I selectively darkened the sky toward the top of the image to provide contrast to the clouds and Sunsphere. 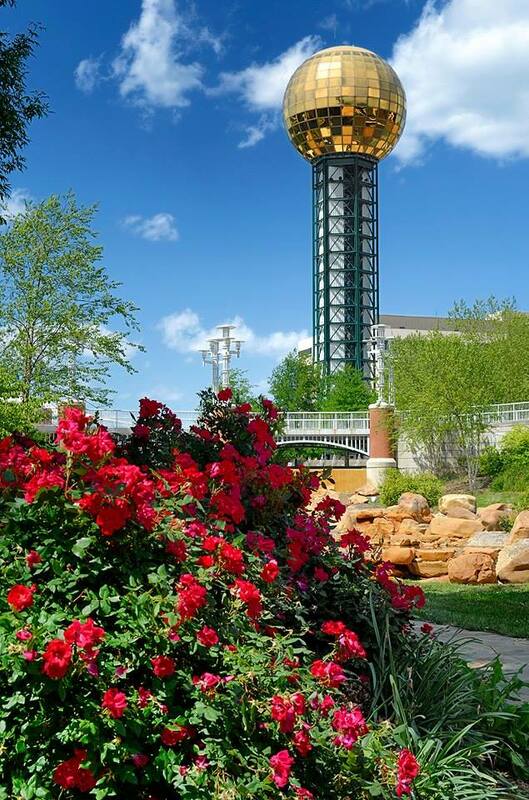 I added a little extra saturation to the gold of the Sunsphere and the red of the roses. I lowered the contrast of the right side of the rosebush (opened the shadows). The camera was on Auto White Balance. I did not modify the White Balance. I was shooting with the Standard (SD) Picture Control to make the image have a little more “snap” (contrast) overall, but not too much. That is how postprocessing is done, not globally changing things—selectively changing things that NEED changing to make the image beautiful. It takes a while to learn how to use the tools one needs to effectively postprocess images. If you are a relatively new photographer, may I give you some advice? Let your camera do the work right now. Set it to AUTO on the mode dial and just go take pictures. Enjoy the camera and taking pictures with it. Start studying the deeper things and choose a set of software tools you will need to learn the complex things of postprocessing. Software such as Lightroom, Capture NX 2, Aperture, and even Photoshop Elements is all you’ll need. So many choices, so many books, so little time. It can take several years to really get a handle on digital imaging. Slow down, enjoy the process, take your time. Don’t work so hard. This isn’t a race. You have a good eye for composition. Let the technology help you at first. A year from now you will understand why I am saying this. Shoot JPEGs in AUTO mode for at least 30 days. When you can consistently make good images in AUTO, switch to Aperture priority (A) mode and move deeper. Above all, have fun! You are a photographer. It’s not the camera who makes the image, it’s you! Darrell Young is an active member of the Nikonians User Community, Nikon Professional Services (NPS), Professional Photographers of America (PPA), North American Nature Photography Association (NANPA), and the author of 15 photography books from NikoniansPress through Rocky Nook, including Beyond Point-and-Shoot, Mastering the Nikon D610, Mastering the Nikon D800, Mastering the Nikon D7100, and the upcoming Mastering the Olympus OM-D E-M1, to name a few. He’s been an avid photographer since 1968 when his mother gave him a Brownie Hawkeye camera. I am sorry to disagree with you on this subject,but if you want to be a p/c photographer,then go for it.I take my 7000,set it up,take a shot,down load it,and sit back and look at a real photo that I took with my camera,not make a picture with a p/c that I never did take. Oh,your may look a lot better,more people with tell you how great you are,but deep inside you know you cheated,and deceived everyone,incluted yourself. I appreciate your opinion. However, there is one thing you have overlooked. When you take a JPEG picture with your camera, you are allowing the camera to create the image according to the standards of the software programmer that wrote the JPEG conversion routines in your camera. The camera does not shoot in JPEG mode, it always shoots in RAW mode first, and then converts the image to JPEG internally with the camera’s microprocessor. When I take a picture in RAW mode, I get the raw image data with no camera processing and make the JPEG image myself in the computer (digital darkroom), using my computer’s microprocessor. I use skill to do that. This is not that different from when I had a wet darkroom in the olden days. I developed my own film and processed my own prints. I controlled it from the start to the finish, from the time I pressed the shutter button until the time I hung the print on the wall. Shooting a JPEG image is like taking the picture and letting a lab develop and print your work. It is someone else’s skills being used, not your own. A JPEG does not usually reflect the reality of what you see because a camera cannot capture all that your eyes can see. When you shoot in RAW, you are then able to convert the image more in line with what your actual eyes saw. When someone takes a regular JPEG picture, actual postprocessing of a RAW image is still going on. However, instead of the photographer doing it, the camera’s firmware routines do it. The camera takes a RAW picture, postprocesses it into a JPEG, and saves the JPEG to the memory card. Therefore, only your composition skills are being used to make the image, along with some exposure skills. You are letting the camera postprocess (make) the image for you. Straight out of camera (SOOC) is a cop out in my opinion. While JPEG is useful for those times when you have no time or interest in postprocessing a RAW file, it cannot be declared your own work quite as much as shooting a RAW file and developing it in your own digital darkroom (PC). I let the camera do the work for me only when I have no time (JPEG), but when I do have time, I use RAW and finish the final JPEG myself. That leaves ME in control of how my image looks, not the software programmer who wrote the camera’s RAW to JPEG conversion routines. I always shoot RAW when I can, but 75% of my photos are action and sports. I shoot for media publications and websites. Most pro sport shooters don’t have time to convert and post process 1000 shots after a football game and have them uploaded in an hour or two. Just saying, there are good reasons to shoot jpgs sometimes. People who shoot sports, photojournalists, and those who take a huge number of images would often rather shoot JPEGs. Processing RAW files individually is definitely a commitment in time. There are clearly very good reasons for some to shoot JPEGs! However, at many weddings I will shoot over 1000 images. I usually do batch processing and conversion of my RAW files in Capture NX2. 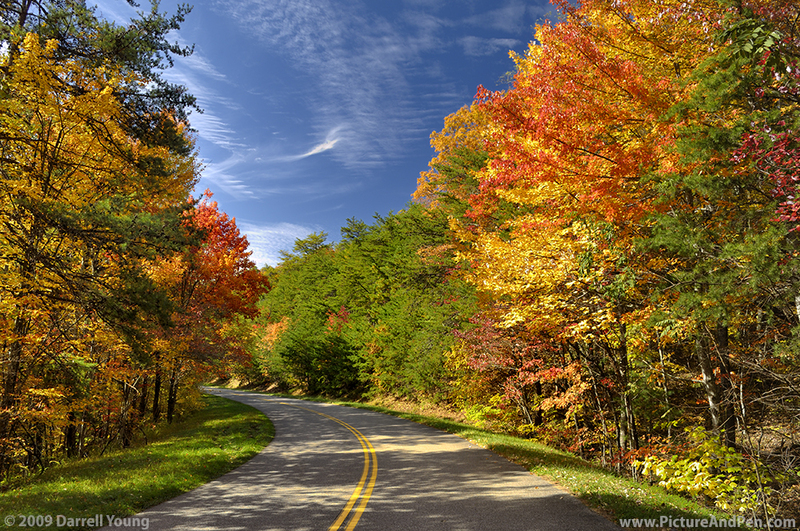 From the perspective of a landscape artist, every pixel and color gradation is precious. I will not allow the camera to throw perfectly good image data away, just to save space or time. “Slow Down, enjoy the process, take your time.” Excellent advice!!! Great article!! Tweeted! !